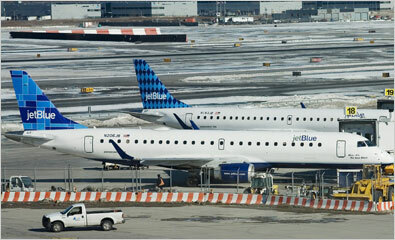 Jet Blue Airways was founded by JetBlue Airways Corporation in 1998 and operated as an American low cost airline. With a flight coverage spanning over 53 destinations in 6 countries, JetBlue Airways serves cities throughout the United States the Caribbean, the Bahamas, Bermuda and Mexico. JetBlue signed its first codeshare agreement with Cape Air. The codeshare will allow JetBlue to serve passengers from Boston's Logan Airport to Cape Air's flight destinations which runs across Cape Cod and also the nearby surrounding islands. Jet Airways operates 134 passenger aircraft fleet which comprises mainly of aircraft model types of Airbus A320-200 and Embraer 190. TrueBlue Flight Gratitude is JetBlue Airways frequent flyer program. LiveTV is the main provider for airline in-flight entertainment systems. It used to be a subsidiary of Thales Group but is now a wholly owned subsidiary company of JetBlue Airways Corporation. LiveTV'sIts main product features includes the aircraft seat-back satellite television service, XM Satellite Radio, and movie programming.